Last Sunday, I was invited to take part of the Ladies Who Care Brunch @ Shore Club in SOBE. I got an amazing massage at the Spa and then had Brunch with some wonderful ladies. 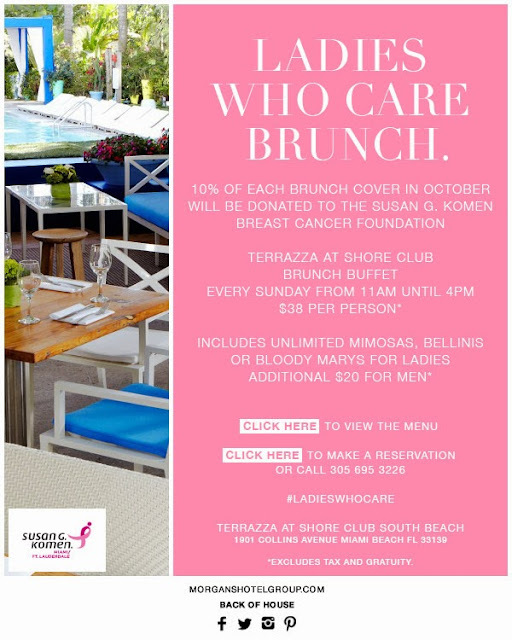 So here are the details, all through October if you go and have brunch at the Terrazza at Shore Club on Sundays, 10% will be donated to the Susan G. Komen Breast Cancer Foundation. 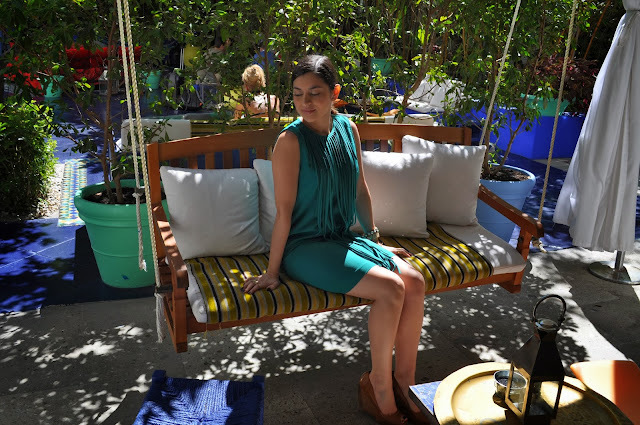 So make it a girls day brunch and relax in this beautiful hotel with unlimited Mimosas, Bellinis and Bloody Marys AND it's all for a good cause. Plus, if you're looking for a party the Pool Party's on Sunday's are the place to be. The two of you look gorgeous, and like you're enjoying themselves! Furniture that meets your standards, I would want to recheck this blog.